A state grant program would help gas station owners install tanks and pumps used to store and dispense ethanol-gasoline blends under a bill advanced from general file April 10. 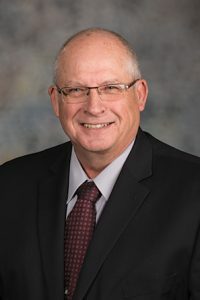 LB585, introduced by Sen. Curt Friesen of Henderson, would create a cost-share grant program administered by the Nebraska Energy Office meant to improve retail motor fuel sites by installing, replacing or converting infrastructure used to store, blend or dispense gasoline-ethanol blends. An owner or operator of a retail motor fuel site would be eligible to apply for the grants, which could be used only for infrastructure projects designed and used to store and dispense E-15 or E-85 gasoline or a blend of ethanol and gasoline from a pump designed to blend those fuels. Although Nebraska is the second largest ethanol producer in the country, Friesen said, few retail locations in the state dispense E-15, E-30 and E-85, blended fuels with higher ethanol content. LB585 is intended to increase the number of locations where consumers can buy those fuels, he said. “In a state like ours that [is] a leader in ethanol production, we should be leading the way in promoting the use of ethanol-blended fuels,” Friesen said. A grant could not exceed the lesser of 50 percent of the estimated cost of the improvement or $30,000 for a three-year cost-share agreement. A grant could not exceed the lesser of 70 percent of the estimated cost of the improvement or $50,000 for a five-year agreement. As introduced, the bill would repeal a sales and use tax exemption for bullion and currency to fund the program. A Revenue Committee amendment, adopted 35-0, would remove that provision. Under the amendment, only blender pumps that dispense blends higher than E-15 would be eligible for the grants. The amendment also would require the Nebraska Energy Office to award grants to the maximum number of qualified applicants rather than consider applications in the order they are received. Friesen introduced an amendment, adopted 36-0, that would remove language stating the Legislature’s intent to direct $1 million to the program. Sen. Dave Murman of Glenvil supported LB585. He said Iowa, the nation’s leading ethanol producer, directs $3 million per year to an ethanol infrastructure program and has more than 700 retail locations that sell higher ethanol blends. Nebraska has only 62 locations that sell those blends, he said. By increasing that number, Murman said, LB585 would support agricultural producers and Nebraska’s ethanol industry, which he said creates high-paying jobs in rural areas across the state. Senators voted 39-0 to advance the bill to select file.